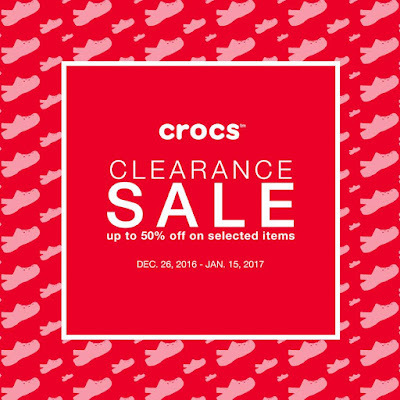 Can't go to any Crocs Outlet Stores for their Clearance Sale? No worries! 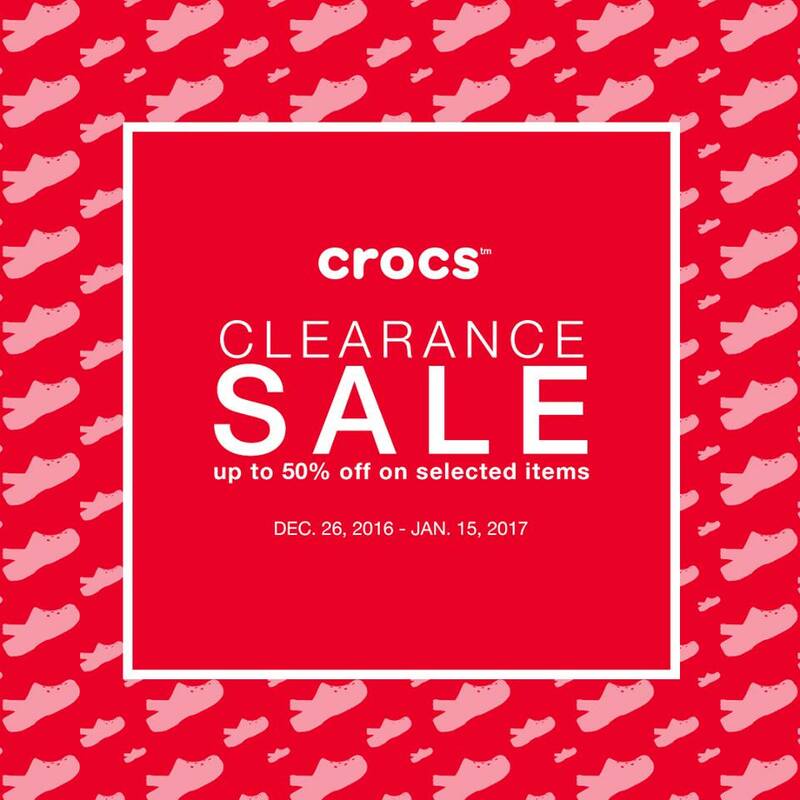 Check out Crocs Clearance SALE happening in all Crocs Concept Stores nationwide until January 15, 2017! Get up to 50% off on selected items and selected styles! 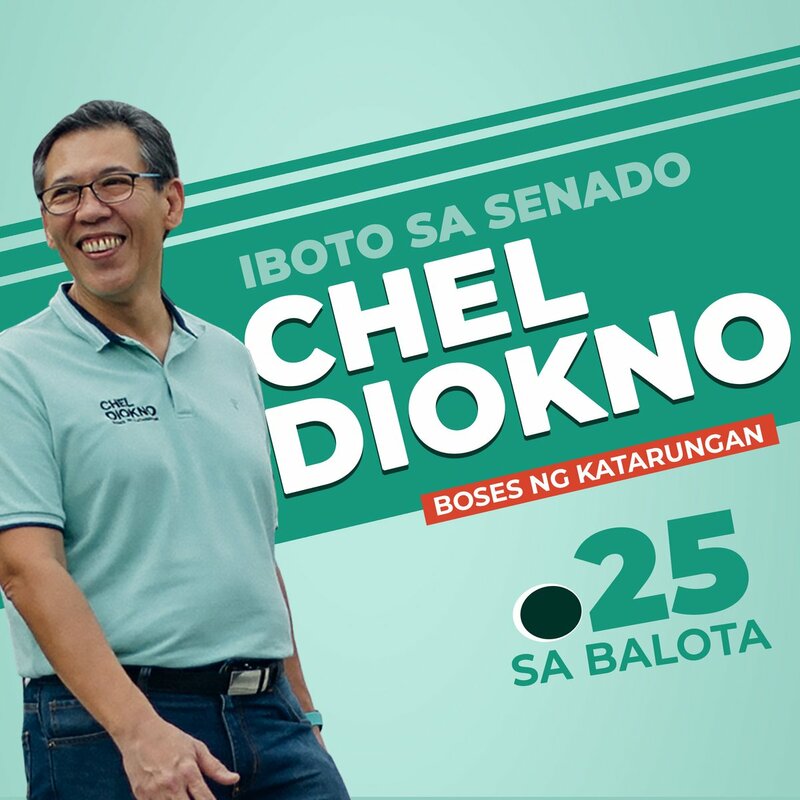 Head over to your favorite Crocs stores now!